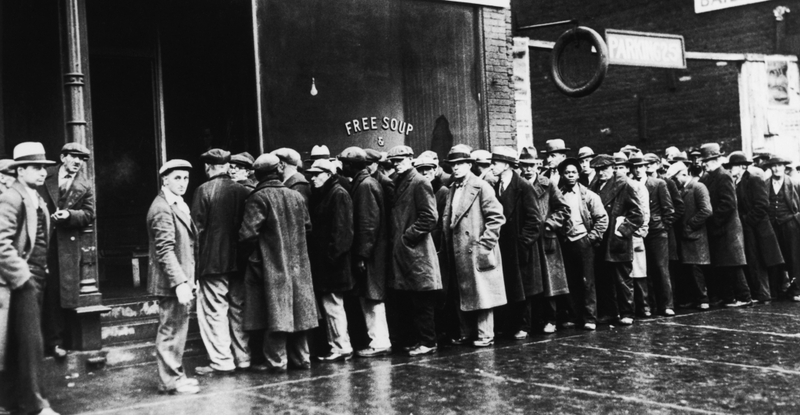 In Part One of this article I made a fact based case that most Americans are experiencing an economic depression on par with the Great Depression of the 1930’s. In Part Two I will compare and contrast two very different men who raised the spirits of the common man during difficult economic times. As we approach the perilous portion of this Fourth Turning, it will take more than hope to get us through to the other side. Likening Braddock to Trump might seem far-fetched, until you think about parallels between the economic conditions during the 1930’s and today, along with the deepening mood of crisis, despair and anger at the establishment. Braddock’s career coincided with the last Fourth Turning. James J. Braddock was born in 1905, to Irish immigrant parents Joseph Braddock and Elizabeth O’Toole Braddock in a tiny apartment on West 48th Street in New York City. His life personified that of a GI Generation hero. One of seven children, Jimmy enjoyed playing marbles, baseball and hanging around the old swimming hole on the edge of the Hudson River as a youngster. He discovered his passion for boxing as a teenager. Braddock refined his skills as an amateur fighter and in 1926 entered the professional boxing circuit in the light heavyweight division. Braddock overwhelmed the competition, knocking out multiple opponents in the early rounds of most fights. As a top light heavyweight, he stood over six feet two inches, but seldom weighed over 180 pounds. But his powerful right hand was no match for opponents that weighed close to 220 pounds. His star was ascending. He earned a shot at the title in 1929. On the evening of July 18th 1929, Braddock entered the ring at Yankee Stadium to face Tommy Loughran for the coveted light heavyweight championship. Loghran avoided Braddock’s deadly right hand for 15 rounds and won by decision. Less than two months later the stock market crashed and the country plunged into the Great Depression. As thousands of banks failed and unemployment swept over the land like a plague, Braddock, like so many other millions of Americans lost everything. He labored to win fights so he could put food on the table for his wife and three young children. His career hit the skids as he lost sixteen of twenty-two fights and shattered his right hand landing a punch. As his boxing career spiraled downward, like the economy, he ended up working on the docks as a longshoreman. When even that job couldn’t feed his family, Jim swallowed his pride, hung up his boxing gloves and filed for government relief to help support his family. The strength, spirit and tenacity that had made him a contender were drained from his demeanor. He became just another down on his luck palooka struggling to survive during the Great Depression. Thanks to a last-minute cancellation by another boxer, Braddock’s longtime manager and friend, Joe Gould, offered him a chance to fill in for just one night and earn cash. The fight was against the number-two contender in the world, Corn Griffin, on the undercard of the heavyweight championship fight between Max Baer and Primo Carnera. Braddock stunned the boxing experts and fans with a third-round knockout of his formidable opponent. He believed that while his right hand was broken, he became more proficient with his left hand, improving his boxing ability. Over the next nine months he upset John Henry Lewis and Art Lasky to become an unlikely contender for the heavyweight title of the world. Braddock remembered the humiliation of having to accept government relief money and paid it all back with the prize money he earned from his fights. He also made frequent donations to various Catholic Worker Houses, including feeding homeless guests with his family. He never forgot where he came from. He was one of the common men. When his rags to riches story got out, renowned sportswriter Damon Runyon dubbed him “The Cinderella Man“, and before long Braddock came to represent the hopes and aspirations of the American public struggling during the Great Depression. The year was 1935, with the majority of Americans still facing a bleak daily existence. Max Baer, the heavyweight champion, had a reputation as a destructive puncher and possibly the hardest hitter of all time. He had killed a man in the ring in 1930. On the evening of June 13th 1935 at Madison Square Garden Braddock, an 8 to 1 underdog, entered the ring to face Baer. Jim knew he could beat Baer if he stayed away from his hammering right hand, and that’s just what he did. In an amazing feat of courage and determination, Braddock won the 15 round decision to become the new heavyweight champion of the world. It was considered one of the greatest upsets in boxing history. The “Cinderella Man” had fulfilled the dreams and hopes of the common people, giving them a reason to battle on through those tough times. 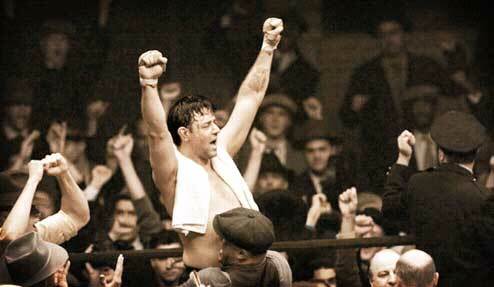 Anyway, so ends the strange story of James J. Braddock “the Cinderella Man” of Fistiana. And you cannot match his story anywhere in the realm of the most fantastic fiction. Braddock lost his heavyweight title two years later in an 8 round KO to “The Brown Bomber”, Joe Louis. He retired after a final win over Tommy Farr in 1938. The beacon of hope for millions had done his part to revive the spirits of a country in crisis. And in true GI Generation fashion, at the age of 37, Jim and his manager both enlisted in the U.S. Army in 1942 where they became 1st Lieutenants. Upon his return, he helped construct the Verrazano Bridge, raising his family, and living out his life as a business owner, happily married to his wife Mae until the day he died in 1974. He was the epitome of everything noble, good, honorable and proud about this country. It may seem like a reach to equate Donald Trump to James J. Braddock, but it really isn’t about the specific person. It’s about the mood of the country during tragically grim economic times and how average middle class (or former middle class) working Americans respond to the message and actions of celebrities they choose to follow or emulate. Their life stories couldn’t be more divergent. Braddock was born into poverty, had to work like a dog to gain a higher stature in life, always maintained a soft spoken humble nature, evoked sympathy and admiration for his rags to riches story, and ultimately inspired generations of Americans to experience a sense of redemption during the Great Depression through his boxing feats. Braddock was a man for his times. Donald Trump was born into wealth. He was born on third base, thinking he hit a triple. His is a story of riches to greater riches. His real estate developer father left him $100 million and the family business. To his credit, he turned the $100 million into billions. He’s been a deal maker and risk taker his entire life. He’s had spectacular successes and miserable failures. He has an ego the size of the Empire State Building. There isn’t a humble bone in his body. He’s brash, boisterous and prone to making outrageous declarations. His personality is more on par with Muhammed Ali’s among boxing legends. His is not a Cinderella story like Braddock’s. He is the anti-Cinderella man. Over the last year he has become the great last hope of the downtrodden middle class, as they struggle through their very own Greater Depression. This unlikely billionaire champion of the silent majority has defied all odds to become the Republican nominee for president, despite the scorn and ridicule of the GOP establishment, neo-cons, political pundits and both the right and left wing corporate media. He defeated more than a dozen GOP establishment lackeys who spent far more on their campaigns than he, with the largest primary vote tally in GOP history. Just as Braddock was considered washed up and a has been after losing sixteen of twenty two fights, Trump was considered a washed up reality TV parody of himself until he announced his intention to run for president. I, among millions of others, scoffed at him and thought it was nothing more than a publicity stunt to generate some new TV program. The press scoffed at the comeback of Braddock after he was given a new lease on life. Every time he prepared to fight a supposedly more talented opponent the odds makers and “experts” in the media expected him to get knocked out. But no one ever knocked him out and he defied the odds to earn a shot at the heavyweight championship of the world. The GOP establishment had crowned Jeb Bush the champion of their party, but Trump KO’d him in the 2nd round. He methodically knocked out the rest of his opponents on the way to the coming heavyweight championship fight in November against the hand-picked heavyweight contender of the political establishment, Wall Street, the fallacious corporate media, the military industrial complex, and the rest of the Deep State apparatus. Max Baer was a monster of a man and a killer in the ring. He looked down upon his opponent as out of his league. His smug know it all demeanor was evident to all. He was not loved by the common man. He was respected for his pugilistic talents, but he didn’t inspire the crowds to root for him. He brimmed with over-confidence and took his opponent lightly. He underestimated the amount of fight still left in Braddock. The “experts” all but guaranteed an overwhelming victory for Baer, likely a knockout in the 1st or 2nd round. Hillary Clinton is the ultimate Washington establishment insider, with a reputation as a killer. She’s been hand-picked to continue the policies put in place by the establishment to benefit the establishment. She is loved by no one. She inspires adoration from no one. She can barely fill an auditorium without paying people to attend. She never mingles with the peasants. She collects hundreds of millions from her Hollywood elite friends, Wall Street titans, Soros, Buffett, the House of Saud and the rest of the billionaire oligarch class. She stays above the fray, letting her handlers set the agenda and telling her what to do and say. She sees blacks, Hispanics, and the working poor as voting blocs – not as real human beings deserving of respect. Her thirst for power and control is sociopathic as she will stop at nothing to quench that thirst by being elevated to the throne of the presidency. And she’ll hit below the belt to achieve that victory. She openly despises and denigrates her opponent. She believes she is intellectually and morally superior to Trump and believed the political pundit “experts” who declared she would win in a landslide. Overconfidence, hubris and believing the press clippings from an overwhelmingly liberal media are coming home to roost with two months to go until the election. In the Baer – Braddock fight of the century, Baer came out firing looking for the knockout punch in the early rounds. But Braddock took his best shots and kept plugging away. Hillary and her corner men have spent over $120 million on negatives ads to Trump’s $20 million in the early rounds. Her 10% post-convention lead has dwindled to zero as Trump has taken her best punches and is still standing. As the bout entered the middle rounds Braddock took control and Baer began to tire. Braddock dominated the late stages of the fight and won in a unanimous decision as the crowd went wild and average Americans around country glued to their radios reveled in jubilation as one of their own became champion. As Hillary’s lies, deleted emails, selling influence through her crooked Clinton Foundation, smashing blackberries with hammers, and brain damage weigh her down, Trump keeps firing punches. Her stamina is in question. Other than CNN (Clinton News Network) and the rest of the Hillary cheerleading press, a large swath of the American people are questioning her honesty, competency, and health. The demoralized and subjugated silent majority are hopeful Trump can deliver them from a political establishment that threw them under the bus thirty years ago. We’ve entered the late rounds and Trump shows no signs of tiring or allowing Hillary to land any knockout blows. Trump victory would boost the morale of a middle class that has been abused, denigrated, belittled, ignored, and taken advantage of by the ruling class for decades. The hopes and dreams of millions are riding on a victory by the anti-Cinderella man. His popularity rides on a sea of rightful resentment, anger, and fury at how the average American has been screwed by the ruling class (both parties) for decades. It would lift the spirits of disillusioned, angry Americans experiencing depressionary economic conditions who want to take this country back from the vested interests. James J. Braddock lifted the morale of a nation in the midst of a Great Depression, but he lost the championship two years later as the Great Depression eventually led to the bloodiest conflict in word history. His election would not change the nature of politics in Washington, but could be the push which brings this teetering welfare/warfare empire of debt crashing down. The destruction of the existing social order is the only chance for real change and Donald Trump is the only person who could trigger that change. His pugilistic demeanor may come in handy as our country confronts the final bloody stages of this Fourth Turning. The climax year of the American Revolution happened in 1781. Almost like clockwork, the Civil War climax year of 1863 followed 82 years later. 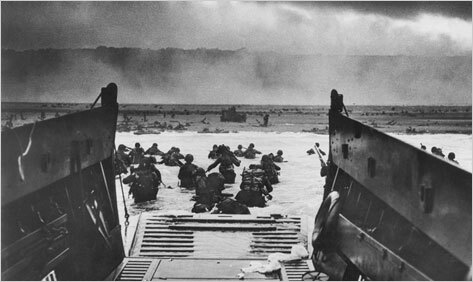 The Great Depression/World War II climax year of 1944 followed 81 years later. This would put the climax year of our current Fourth Turning around 2025, at the end of an eight year presidency of Clinton or Trump (both Prophet Generation leaders). The years leading toward the climax of a Fourth Turning have always been chaotic, dangerous and bloody. The core elements of debt, civic decay, and global disorder will accelerate the chain of events leading to the climax, whatever it may be. No matter who is elected in November, the next eight years will try men’s souls and the outcome for our country could be glory or destruction. The technology exists to extinguish all life on the planet and human nature does not change. All it would take would be human malevolence, disastrous decision making by flawed leaders, and some bad luck to destroy the world. Who do you trust to lead during the most dangerous period of this Fourth Turning? Our choices do matter.